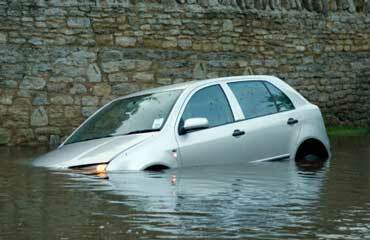 Does comprehensive coverage include damage caused to vehicles by floods? Don't try to start a car that has been in a flood until it has been inspected and cleaned by a mechanic or you could hurt yourself and cause further damage to the vehicle. Was anyone injured in this car accident? Yes, the drivers and passengers in this car accident were injured. Injuries are covered in the bodily injuries section or personal injury protection section of auto insurance policies. 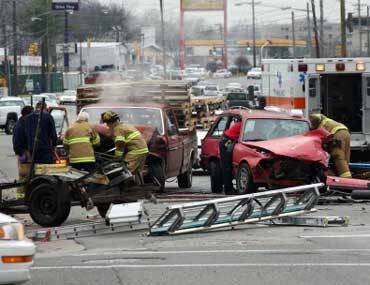 If you are injured in a car accident, you should talk to an attorney. Yes, they are. Vehicles are declared totaled when they are too damaged to be repaired or when it costs more to repair them than they are worth. 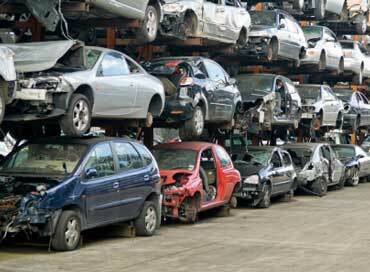 Totaled vehicles are taken to the junkyard to be recyled. Copyrights to the pictures and photos on this ESL and EL Civics website belong to individual photographers. We have purchased the rights to use them. Do not copy the images on this lesson. Permission is granted to copy any of the worksheets for classroom or home study. Contact Christina Niven, ESL teacher, at christina@elcivics.com. Please send corrections and requests for new lessons. Copyright © Christina Niven, 2007.